On one of the few days I find myself free, I try to visit Volkswagen mechanics and technicians just to spend a day learning a few lessons on this wonderful car. 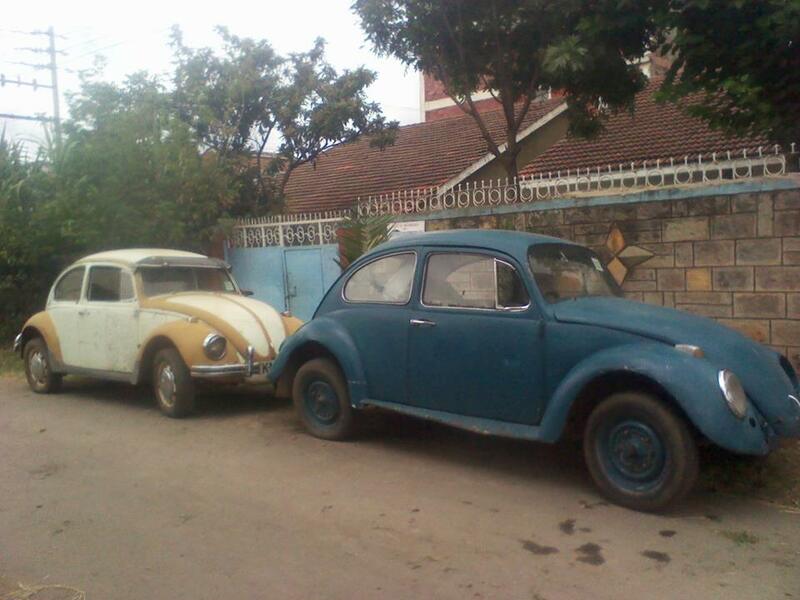 This was occasioned by my acquisition of a 1965 bug I wanted to restore to as stock as possible status. 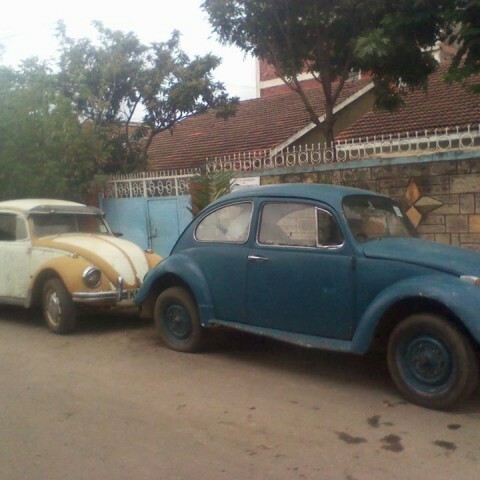 But having joined The Volkswagen Anonymous Club of Kenya, I soon realized that building a stock project would be very expensive and will take ages to complete. And so I toyed with the idea of one day getting myself another not-necessarily early bug I was obsessed with and get a late bug I would use in the meantime as I did the early bug slowly as it came. This was driven by the urge to attend as many club activities and drives as possible which I was already missing on quite a lot. 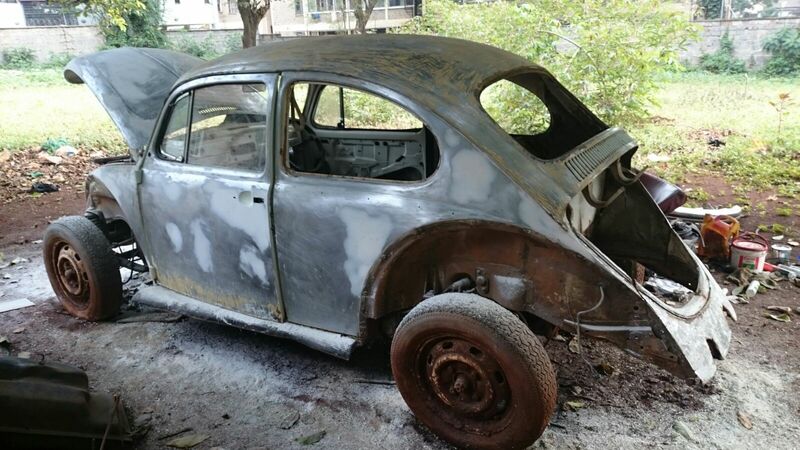 And so it happened one day as I was out scrambling for parts I would use from a bug that was being chopped up that someone approached me with news of another bug his sister was selling and I reluctantly agreed I would take a look at it. 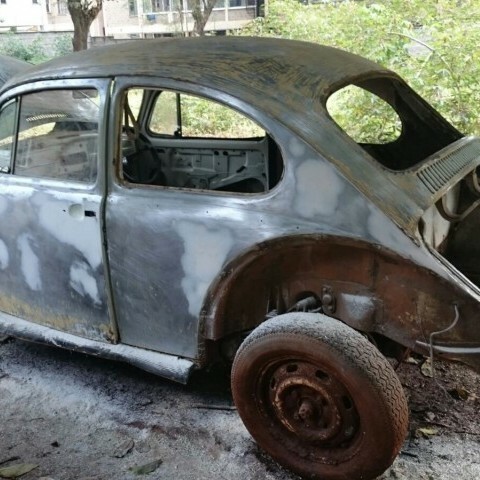 So on another free day in 2013, I decided to go have a look at it and was impressed by the general condition of the bug with the only downside being some mutilation that was done by the owner sometime back to install a Toyota starlet 4EFE engine. I promptly bought it and drove it home albeit with an overheating engine and almost zero brakes. That’s when I decided to transfer the engine I had from my early bug because this one clearly needed an immediate overhaul. Sadly enough, the engine didn’t last much past three months as it was an experimental overhaul I had just done by myself from watching the bug-me videos by Rick Higgins and being the novice that I was then, I decided it was about time I overhauled her engine too. Luckily, the block was in pretty good condition and only awaiting assembling her back together after buying mostly new stuff for the build. In the meantime, I decided to strip the body for a pan off resto which is currently ongoing with a target of completing her on time for the 2016 “Bite the Dust” charity drive. Hopefully, she’ll be the looker I have envisioned her to be.